Gosh time is flying and it's that time of the week for the Just Add Ink challenge!!!!!!!! 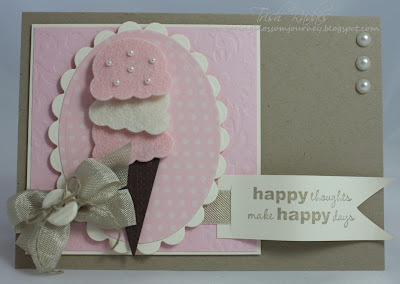 I'm a HUGE ice cream fan so I thought this sentiment worked perfectly for this card!!! I'm sure I've mentioned this before but I'll say it again..... I LOVE seam binding, it's so easy to work with and I love the feeling of it! 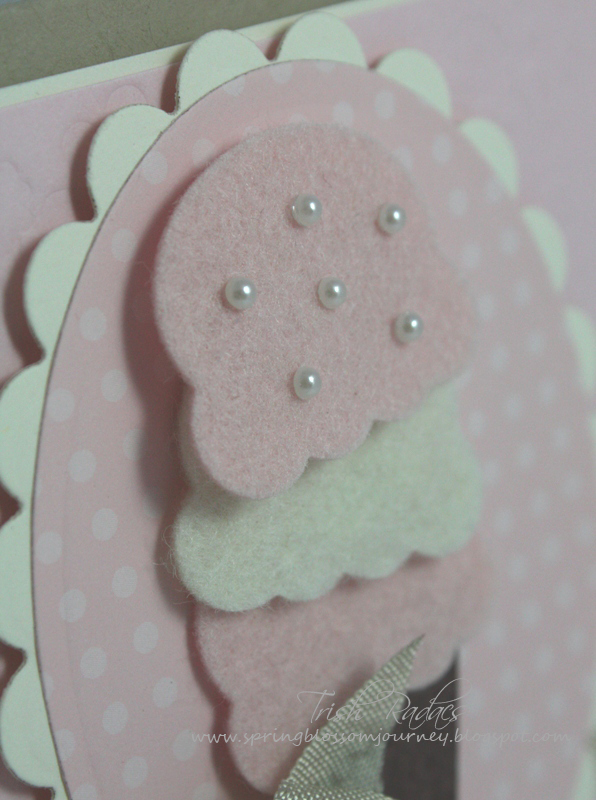 Other: Seam Binding, Button, Twine, Felt, Pearls, Ice cream die by PTI, Embossing folder, Impressabilities and Nestabilites. Happy 4 day Easter long weekend!!!! OMGosh this is divine. I love the little pearls you've added to the ice cream. 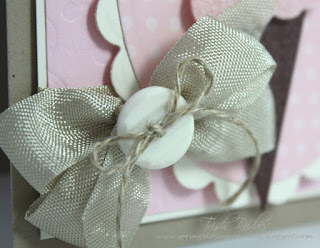 This is one yummy card...and not long till we get to sit together with the real thing. Very very nice Trish, makes me hungry just looking at it. Will definitely be giving this colour combination a run. This is very sweet Trish ;) I love how you added the pearls to the top scoop a really cute touch! Trish, this is just delightful! I LOOOOOVE the felt icecream scoops - wow!! Great use of seam binding, and the balance of colour is beautiful. Positively scrumptious! Thanks for almost tempting me with another PTI die! Hope you had a wonderful Easter. I'm not a big icecream fan, but this made me drool Trish, l love the felt and pearls...perfection!